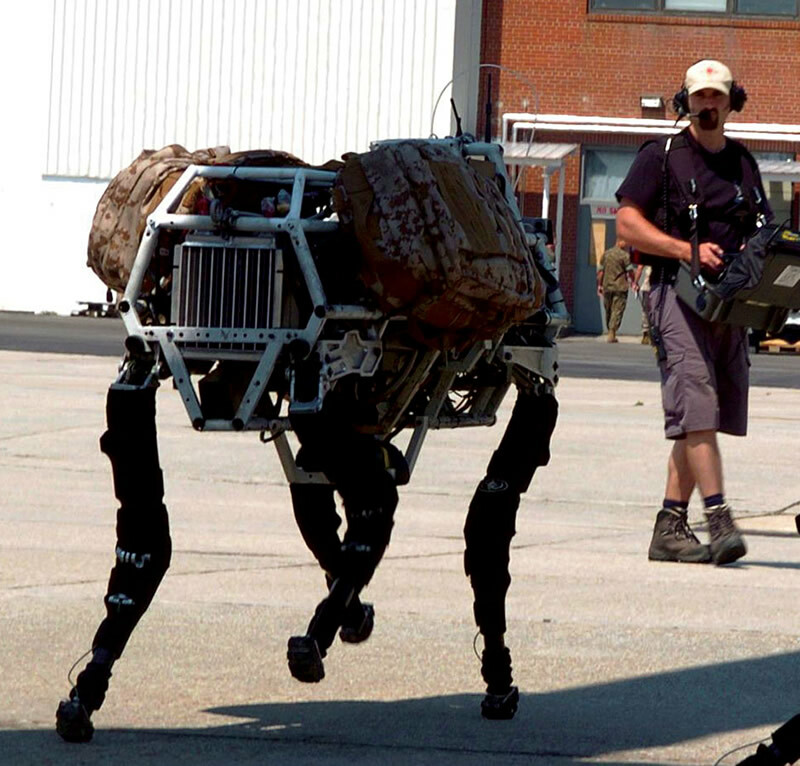 BigDog: a robotic tank mule for the future | Abler. This blew me away—genuine all-terrain robotics from Boston Dynamics. My collaborator Brian Glenney wondered aloud whether this kind of technology might, in another form, supercede the wheelchair model in the future? Worth watching all the way through, as this sentient-ish creature rights itself on ice, etc. Some of us here keep watching this and marveling at the emotional quality of that kicking sequence – it seems so violent and strained, the sound of the thing seems pained, the motions frantic. Didn’t these guys see the Terminator movies? We better be nice or we’ll pay in the future! When I saw this object, I felt myself questioning whether it was animate or inanimate- inanimate that is controlled by another animate being. Humans will impart on things emotions by instinct it seems and it is this aspect in the encounter that intrigues me. Very different from seeing someone in a wheelchair because we see the live human being in it first. How will be come to appreciate, reject, or accommodate robotics as extension of animates and how will be come to inhabit with them? Violent kicking- would be a form of interaction that could occur when we engage with something else that we feel is alive. So eery yet interesting….